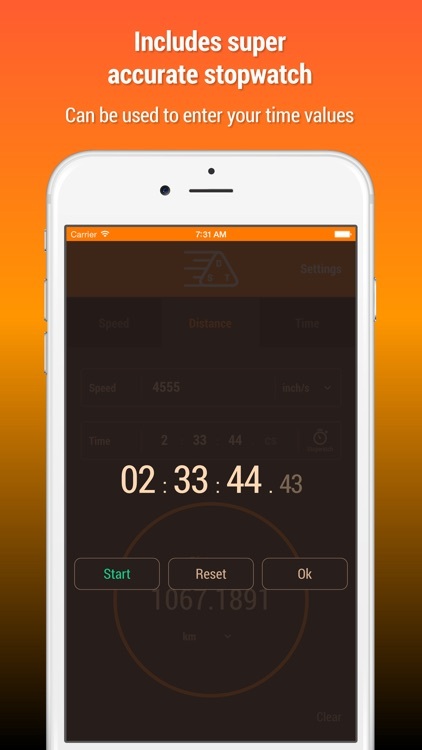 Calculate speed, distance, or time with this intuitive calculator. Calculate Speed, Distance or Time. Tap the unit you want to calculate (Speed, Distance, Time), from the 3 tabs at the top, then enter your values and units by tapping the empty fileds. Many speed and distance units. It’s great for everyone from runners to students. 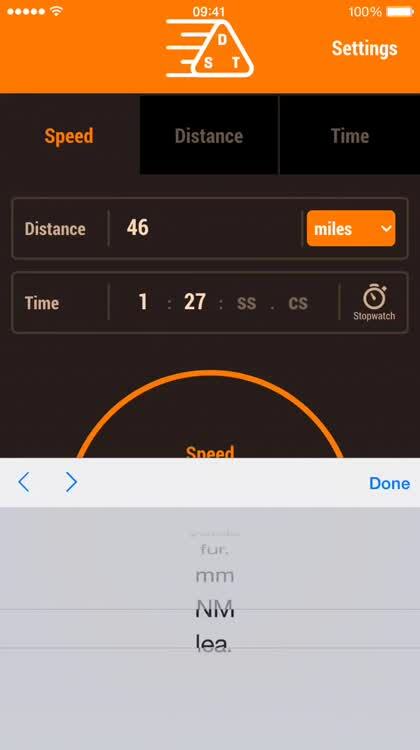 If you want an app to measure units for you, this isn’t it. If you frequently deal with speed, distance, or time, you need this app. It’s not only easy to use, it’s also easy on the eyes thanks to the two beautiful themes. 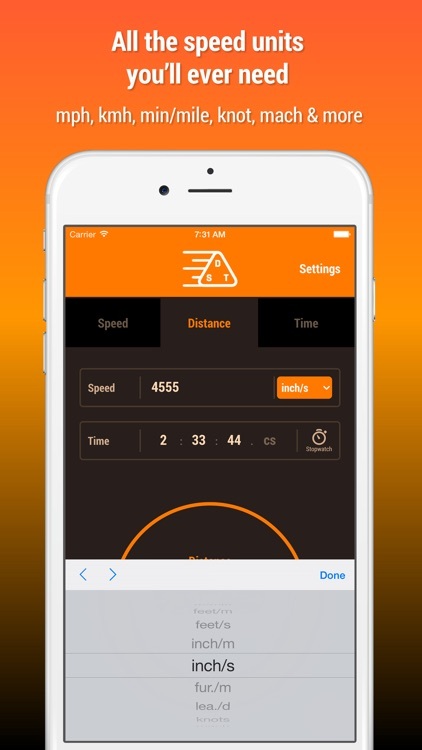 ► EASY TO USE - Tap the name of the measurement you want to calculate (Speed, Distance or Time), then enter your values by tapping the empty fields. Your result is updated whenever you make a change. 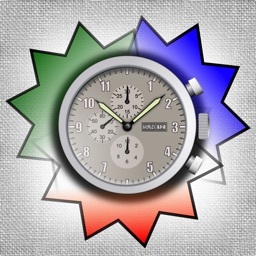 ► STOPWATCH - Easily record your time values directly into the app using this highly accurate stopwatch. "How long will it take me to get there?" "What was my average speed on that journey?" "How far can I travel in an hour?" Find out quickly and easily with this app. "App is excellent and very easy to use. Love that I can easily switch between rates of speed." 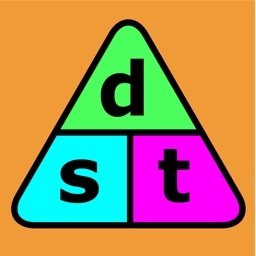 "Amazing app this is exactly what I was looking for. Helps You avoid a lot of calculation!!! Good job"
"Easy to use - all the info in 2 clicks"
"Essential for any sailor too tired and wet to do simple math! Highly recommended!" 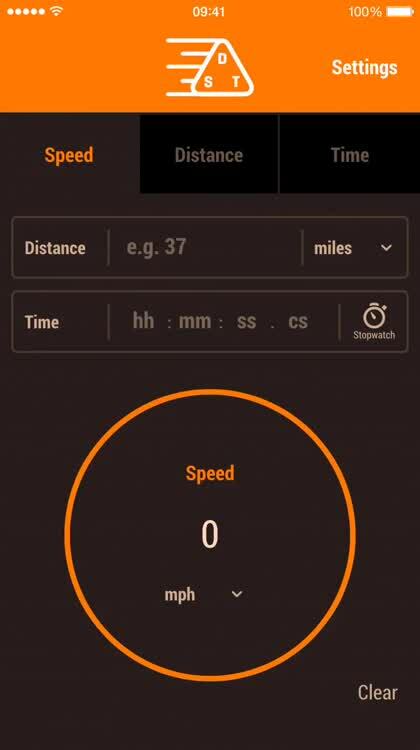 "Had this app for 5 or 6 months. Great for walking and running. 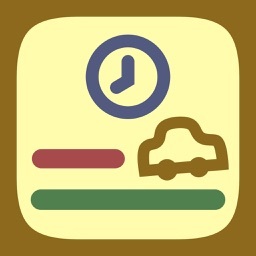 Very handy"
"In short, this app is worth the money in gas and time saved!" 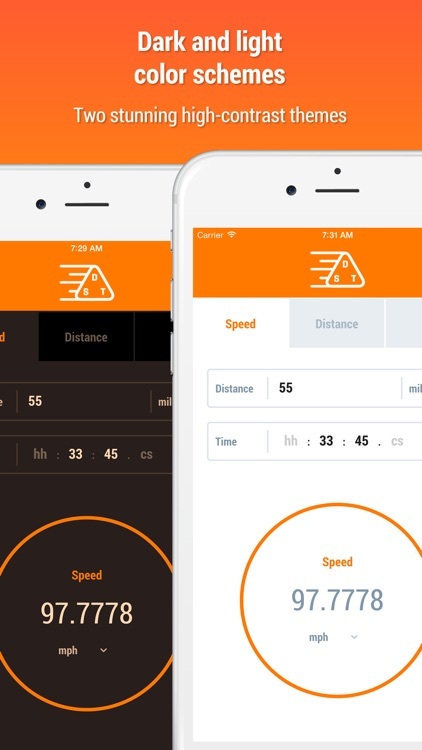 "Most recently I have taken a law enforcement radar class at which point we are required to calculate a persons speed over a specified distance and this application is perfect! Big props to the "developer. 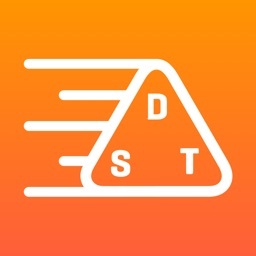 I'm using this for long journeys with the car and time trials for my bike. 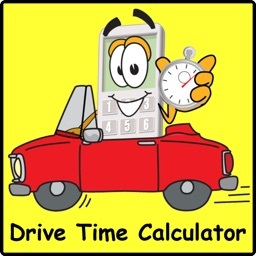 Today’s AppsGoneFree list includes an arcade game, a simulation game, and a calculator. 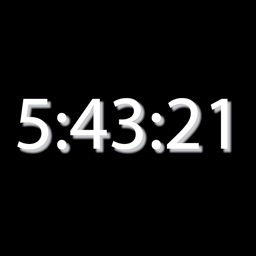 Today’s AGF list includes an animation app, an entertainment app, and a calculator.